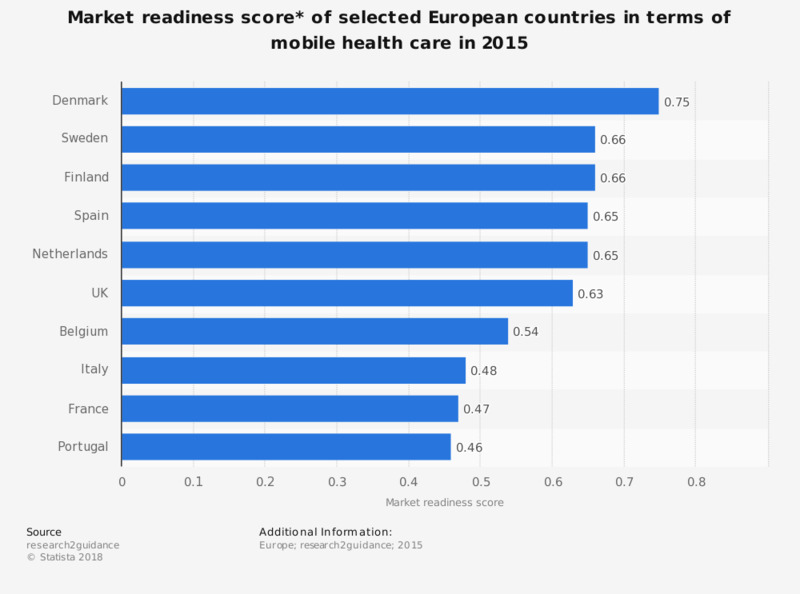 This statistic displays the market readiness score of the mobile health care industry in selected European countries in 2015. In the presented year, Denmark was the leading country in terms of market openess and preparation for mHealth business, reaching a mHealth market readiness score of 0.75. * Market readiness score is the average of the scores in 5 categories: eHealth adoption, level of digitalization among population, mHealth market potential, ease of starting mHealth business, mHealth regulatory framework. Values of the scores are between 0 and 1, where score 1 represents country which has the highest value in all criteria.